Hotel "Dalos" is located at the entrance to Sarny. The hotel is a two-story building of original construction. On the ground floor there is a restaurant, and on the second floor there is a hotel room. All rooms are equipped with a TV, satellite TV and a fridge. There is a private bathroom with a hairdryer. There is internet access available for residents. The territory of the hotel "Dalos" has parking for cars. The distance to the bus station is 600 m, to the railway station - 7 km, to the city Rovny - 92 km. Description of the room: Comfortable single room with a semi-double bed, with private facilities in the room. 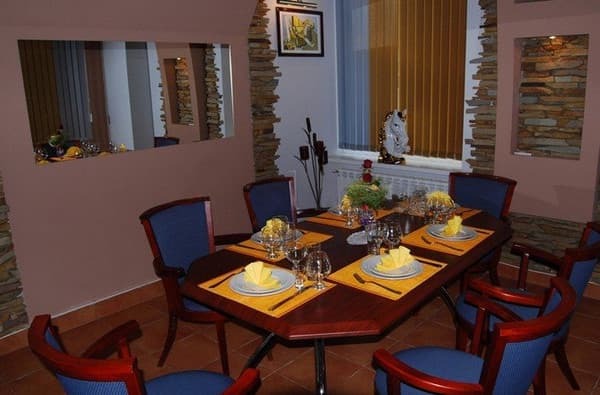 Description of the room: Comfortable double room, with private facilities in the room. Extra beds are possible. Description of the room: Comfortable and cozy double room, with a large bed and amenities in the room. Description of the room: Luxurious double room with a large bed. Чистенько, в номере, фен. В ресторане хорошая еда. Приятная придомовая территория. Possible provision of additional seats. The service is chargeable, requires prior approval upon booking. 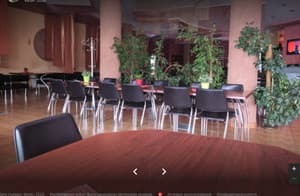 The restaurant offers more than 200 dishes of European and Ukrainian cuisine. 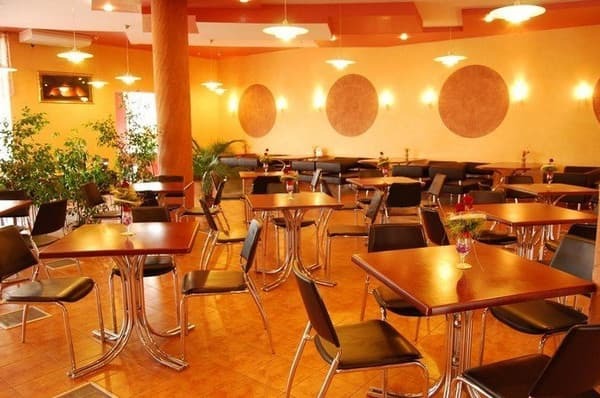 It is possible to order banquets, celebrations and business meetings, a banquet hall for 20 seats and a VIP hall for 6 seats. Motel "Dalos" is located at the entrance to Sarny. The bus station is 7 minutes walk from the hotel, the railway station is 7 km away, you can get by the city minibus or by taxi. The distance to the town of Rivne is 92 km. 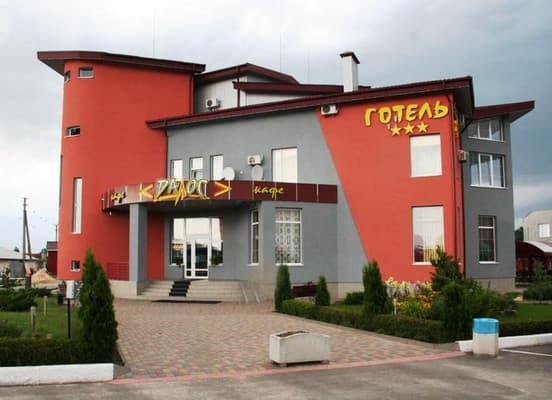 Hotel "Dalos" is located at the entrance to Sarny, in front of the ring road fork from Kovel, Lviv, Rovno and Kiev. From the bus station 7 min walk to the hotel, from the railway station can be reached by city minibus or by taxi.